Intersnack is committed to making ongoing improvements to working conditions in the countries where we source raw materials. 90% of our suppliers are assessed using the Ethical Trading Initiative (ETI) Base Code, an internationally recognised code of labour practice. In addition, the Code of Conduct we developed and expect all our suppliers to follow, is also in line with the ETI Base Code. Wherever we use palm oil in our products, we use only RSPO certified palm oil. 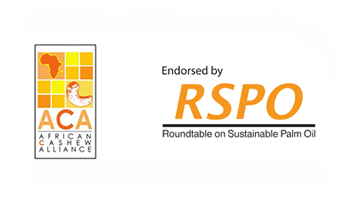 It supports plantations that have been successfully audited in accordance with the provisions of the “Roundtable on Sustainable Palm Oil” (RSPO). Compliance with social and ethical standards and the improvement of working and living conditions in origin countries is a challenge we cannot meet on our own. That is why we join up with various relevant stakeholder groups such as the Ethical Trading Initiative, and work as an active member of the African Cashew Alliance (ACi/ACA www.africancashewalliance.com) and the RSPO (Roundtable on Sustainable Palm Oil). In connection with the ongoing RSPO assignment, we have so far reached the status of "Segregated". As a partner to NGOs and GOs, we run several projects in origin countries with the objective of improving working and living conditions of our cashew and peanut suppliers and pre-suppliers. 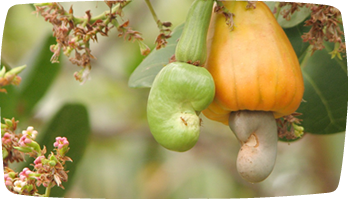 Tanzanian Fair Trade cashew cooperative resulting in improved income of 8 communities. 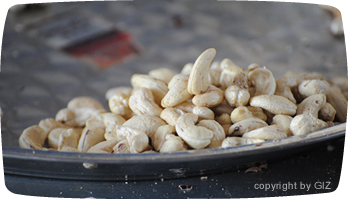 African cashew project resulting in improved income of 150.000 farmers. 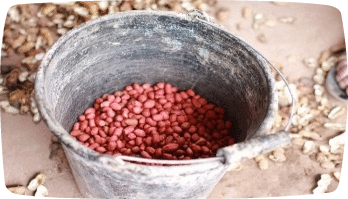 Bolivian peanut project resulting in improved living standards of 4.500 farmers. Bolivian Brazil Nut project resulting in improved livelihood of 3 Amazonian communities and support in achieving the Fair Trade certification. Walnut project in Kyrgyzstan & Tajikistan resulting in improved livelihood of 600 families and support in achieving the Fair Trade certification. We support local farmers in the cultivation of their traditional peanut varieties in order to improve the lives of several thousand farmers and their families for the long term. Furthermore, we are working with GIZ to create a stable standard of living over the coming three years thereby improving the livelihood of many more families. The aim of the project consists of imparting knowledge of new technologies and skills to the farmers thus safeguarding local peanut varieties which are in danger of extinction. Focus the ETI assessment on the main strew raw-materials (potato, nuts, oil, cartons etc.). Introduce complete product ranges on the basis of Fair Trade and Rainforest-Alliance-Certified raw materials. Starting various new projects in which we work together with strategic suppliers.